As you may have noticed on our website, Lip has recently become a Pozible partner and thus holds a page of our favourite Pozible projects – the ones we think Lipsters would love and consider supporting. This week, I spoke to Corrie Chen and Jiao Chen about their documentary project “Keep Me Safe Tonight”. 1. So Jiao and Corrie, you’ve got a project on Pozible. Tell us a little bit about yourselves, and about “Keep Me Safe Tonight”. Corrie: We’ve known each other for a couple of years now and have established a great working relationship over a variety of projects. We both have different sensibilities and skill sets (producer and director) that complement really well with each other. “Keep Me Safe Tonight” has been in development with ABC for nearly a year now, as part of the Opening Shot program – a series of 1/2hr documentaries by filmmakers under the age of 35.We are very excited about the documentary, and for both of us it will be our first broadcast credit. Jiao: Yes, we got to know each other through the work we both do in fictional filmmaking. Documentary filmmaking is something that is relatively new to both of us and we’re both really excited about doing it because we think documentaries have the power to change the way people see their worlds and inspire real action. 2. Why should Lip readers support “Keep Me Safe Tonight”? What makes it so important? Corrie: When we first started development on this documentary, there were moments when we looked at each other and wondered out loud whether or not we had any right to tell this story. However, we quickly realised through the statistics how overwhelming this problem is, and we just couldn’t believe that there wasn’t more awareness around it. We hear a lot about skin cancer and road accidents but suicide actually claims a lot more lives than those other two causes of death. Suicide is the number one killer of men under the age of 44 and women under the age of 35. We believe suicide is preventable thorough awareness and education, and that is something we’re hoping to achieve in this documentary – and we believe we’ll be one of the first Australian documentaries that tackle the issue head on. Silence will only compound the problem – it’s time to confront the issue. Jiao: Suicide directly and indirectly affects many people in the community. Nearly every single person who I’ve spoken to about the project has come forward to reveal to me that they know someone who has attempted or completed suicide. The sad reality is, Australia has around 65,000 suicide attempts every year. If you do the maths, that’s an average of at least one every 10 minutes. Of course, the number of people who contemplate suicide is even more staggering. The issue has been stigmatised by society for a very long time. The silence and shame mean that many people who are suffering are doing so in silence – too ashamed to seek personal and professional help. If we are better educated on the facts, then we can be better equip to help each other and help ourselves in times of crisis. Our film is called “Keep Me Safe Tonight” because we believe we all have an obligation to each other – we all need to look out for each other and lend a hand when someone is in need. 3. How you have found the experience of being young documentary makers in the Australian film industry? Corrie: Like most roles in the film industry – being a young documentary filmmaker is tough! Most of the time we are surviving through passion, and off the smell of an oily rag! However, we have been so lucky to have fantastic support from a variety of people along the way. One of the most important things to us is to have the support of the suicide prevention community, and organisations such as Lifeline, Suicide Prevention Australia, Young and Well CRC and ReachOut have been integral in giving us insight and advice into such a difficult area. Jiao: Yes, documentary filmmaking is difficult because you often have to finance a significant part (if not all) of the production yourself. There are of course many creative challenges as well such as finding a great story that will lead you to a relevant big picture theme and attaining access from your contributors. We’re lucky to have public broadcasters such as ABC and SBS supporting young filmmakers. The ABC in particular have been great to us. They took a risk on us and we hope it will pay off! 4. What do you think about feminism? How does it affect your life? Corrie: Feminism is an essential part of society, but I feel the modern interpretation of it has evolved too far away from what it used to mean. The problem this creates is that it unfortunately feels like there are whole generations of young girls who don’t think feminism affects them or is “outdated”. That the gender gap in pay isn’t real and won’t affect them by the time they get to a full-time job. As a female filmmaker – I feel feminism affects every part of my career. Without that movement, it’s hard to imagine I’d be doing anything remotely similar in the film industry. I hope that in the next decade we’ll see more and more female filmmakers in a position of creative control. Jiao: Well I’m a guy but I think we definitely need more women in leadership roles! I applaud people like Corrie who has worked hard to have her voice heard. 5. 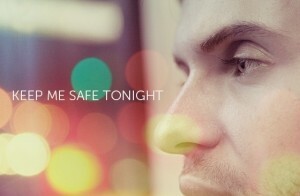 What are your plans for the future, provided “Keep Me Safe Tonight” becomes a reality? Corrie: We are actually in the midst of production on a short film at the moment, and as soon as that ends we are straight into pre-production on “Keep Me Safe Tonight”. We are hoping to start shooting the documentary in April. Jiao: We have secured the majority of our financing for the documentary. The crowd funding campaign on Pozible is to raise the remaining amount of money needed. If we fail to raise that final amount, we will still forge ahead and make it however it means we will have to make some major creative compromises. That would be a pity. We only have a few days left in our fundraiser and we really hope the community can rally behind us and help us achieve our vision. If everything goes to plan, “Keep Me Safe Tonight” will be on ABC2 later this year. After the TV broadcast, we intend to distribute the film via film festivals as well as the internet to make sure it is watched by as many people as possible. We will be working our butts off to get the message out there! Want to support “Keep Me Safe Tonight”? You can donate here. This entry was posted in Featured and tagged documentary, film, filmmaker, keep me safe tonight, pozible, pozible project, project, suicide. Bookmark the permalink.